14 Halfling + 2 Treemen miniatures for Fantasy Football. 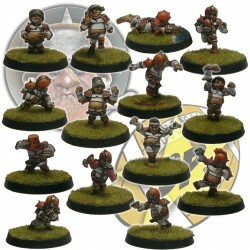 14 Halfling miniatures for Fantasy Football. 3 Dwarven staff miniatures pack for Fantasy Football. 3 Dwarf Star Players pack for Fantasy Football. 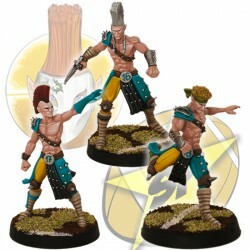 3 Elf Star Players pack for Fantasy Football. Pack of 6 small lizardmen + 6 big lizardmen miniatures. 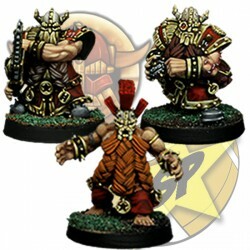 Pack of 6 big lizardmen miniatures. Pack of 6 small lizardmen and beast lizard miniatures. 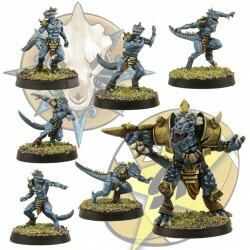 Pack of 6 small lizardmen miniatures.